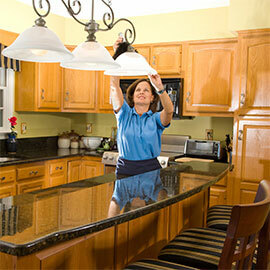 We provide highest quality cleaning by maintaining the highest standards, using latest equipment. Why do you need professional home cleaning Services in Bangalore? As life gets busier and young professionals barely get time to manage household chores, various corners of the house start accumulating dust. This increases dust allergens, harmful bacteria, dust mites and a host of other disease causing agents. With Bangalore being the focal point of India’s young professionals, the problem of an unhygienic home is more profound. With the accumulation of these harmful agents, the house not only looks dirty but also becomes unhealthy. Soon, the residents suffer from allergic reactions such as runny-nose, wheezing, cold, cough, fever, eye redness or tearing, and asthma to rashes and other skin diseases. If there is a child at home, these harmful bacteria and microbes affect them to a dangerous extent. Clean Fanatic is a pioneer in the business of Professional Cleaning Services in Bangalore. We have served more than 1000 households in Bangalore. We have a team of experienced & highly trained professionals who have been working on household cleaning for over 3 years. We have been covered in leading Media, such as The Hindu, YourStory.com, The Indian Express, Citizen Matters Bangalore, etc. We understand that Bangalore is a home to a mix of people, from the old to the new, from the tech savvy folk to the heritage lovers, from the modern to the traditional. Our services are tailored to suit everyone. We remove cobwebs, clean dust blinds and window ledges, scrub floors, dust furniture, clean table tops, windows, mirrors, cabinets and drawers. 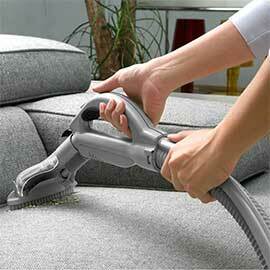 We use a 4-step deep cleaning process to sterilize and sanitize your sofas. We deep clean your regular carpet, woolen carpet, Persian carpet and rugs, leaving them as good as new. 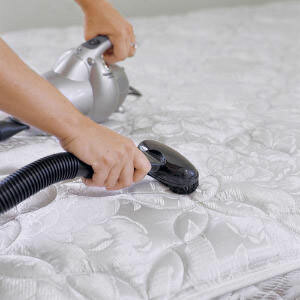 We deep clean all types of mattresses to remove dust mites and allergies. We provide one-off as well as Annual Maintenance Services. "I was amazed at the attention to detail by this team of "Clean Fanatic" This process reduces incidence and prevention of Asthma, red eyes, Bronchitis and Itchy Skin. We will be getting this cleaning done periodically in our effort to keep up the health and hygiene standards. Thus we are committed to clean the dirt which is visible to the naked eye and that which is hidden." "This is a fantastic service which has started in our city, it is really good. I would recommend everybody to go for a demo, specially families with kids, old people and patients of asthma, bronchitis and allergies." "There has been an improvement in my allergy symptoms since the day the sofa and mattress were cleaned by your team. Previously, I used to start sneezing as soon as I sat on my sofa or my parents' bed, and would avoid sitting on them. However, that is not the case anymore. My sneezing bouts have decreased dramatically. Thanks for the good service." "I had to give you this feedback. It's SUCH relief to wake up in the morning without the violent bouts of sneezing that I had earlier. It's unbelievable! My allergy has already gone down by 90% and my energy level have gone up by 90%. I hadn't expected such dramatic results in such a short time."